FTP Motorsport Charge Pipe for C Class ( W205 & C205 ), E Class ( W213 & C213 ) & GLC selling for $250 Cash & Carry . Here is the perfect solution to through away factory's soft plastic charge pipe that is prone to breaking under high boost and replace with New FTP Charge pipe kit for your car. Our aluminum Charge Pipe with the increased size and electroplating inside can both solve the blow-up problem and increase driving performance at the same time. Features: Increase throttle response Decreases turbo lag Faster acceleration Direct OEM replacement Lightweight High Grade 6061 Aluminum Piping Retains factory style o-ring throttle body lock flange. Precision CNC machined MAP sensor flange ensures leak free connection. Compatible with the factory electronic diverter valve Includes all hardware for complete installation If interested do message me on Whatsapp at 96566659. For sale is an original Mercedes isofix child seat. Bought from C&C about 5 years ago when I collect my car. The seat is in very good condition, view to believe. My son uses it only on weekends. Clean regularly. Paid about S$900+. Viewing on weekdays at Shaw Tower Beach Road during office hours and weekends at the West side. I am letting go at S$250. PM to discuss. Thanks. W213 E-Class Original Cup Holder Add-on. E Class Original Cup Holder Add-on. W211 HEAD LAMP REPLACED, FROM 2005' TO 2007' MODEL. Most of the W211 E Class headlamp it has been deteriorated. Selling an item that can be separated into two parts. 1. Entire Instrument Cluster with Bezel and AMG Overlays S$500. or Only the Bezel (Note that it is the entire casing) S$200 or Instrument Cluster w/o bezel S$300 No low ballers and time wasters please. Keen parties kindly sms me at nine seven six six 0202. Should be available from Friday. 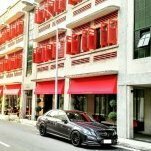 Hi, I am looking to buy E250, W212, 2009-2011 models. If anyone is keen to sell, please whatsapp/sms me at 9009-3536. I am a genuine buyer and can offer a hassle-free transaction. Thanks. Hey all! Looking for 19" rims for W211.. PCD 5x112.. With or w/o tyres is fine with me.. Fast deal if in decent condition! Thanks! !